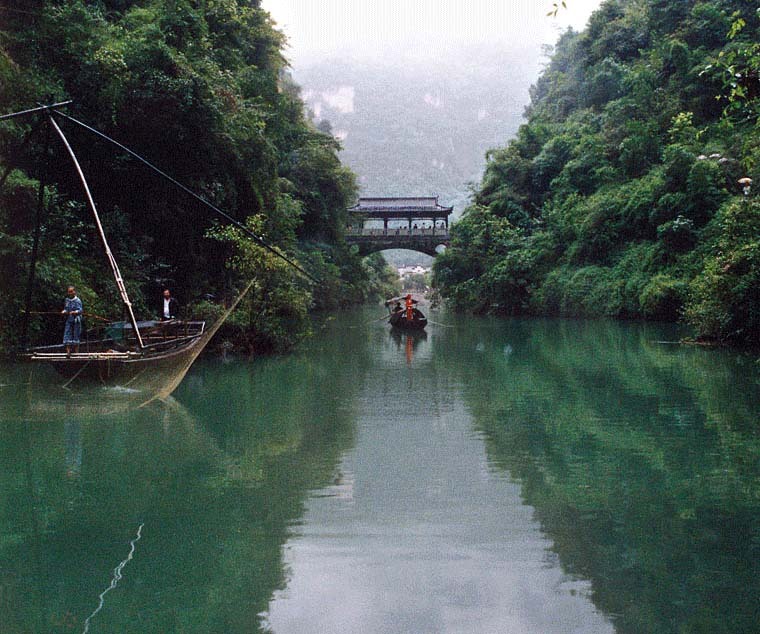 Drifting along the Shennong Stream in small open sampans (called 'peapod boats' by the locals) is the unique method for viewing the natural scenery, the ancient village and the flavor of Tujia (the local ethnic minority). Before you take the sampan, an environmental protection boat will first take you to admire the marvelous scenery. Then you will change to the sampan (14 yards long and two yards wide), which holds ten visitors at a time, to experience another kind of feeling. One sampan is usually steered by six boatmen who are local peasants. While appreciating the natural beauty and historic sights along the two banks, you can hear the songs from the rowers as they row the boat. When reaching the shallow-stream places, they will paddle in the swift-flowing stream to tow the boat upstream by the rope. This scene has made the drift a unique one compared to other stream drifts.